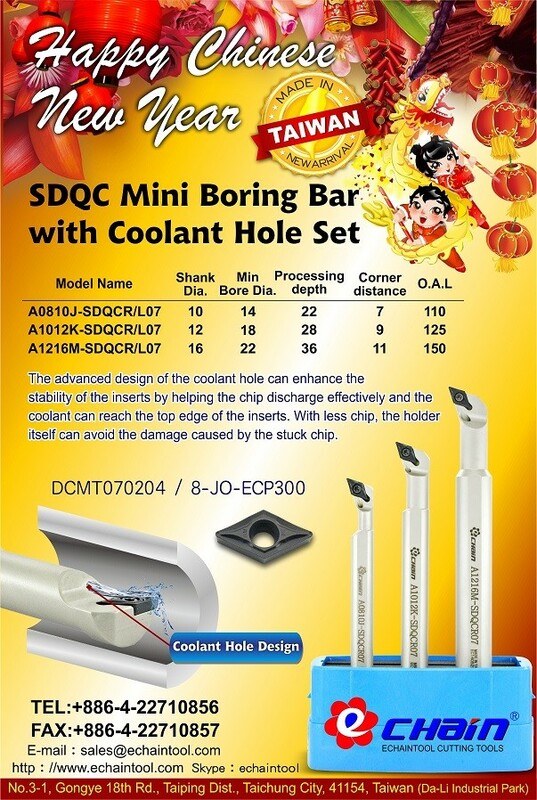 The advanced design of the coolant hole can enhance the stability of the inserts by helping the chip discharge effectively and the coolant can reach the top edge of the inserts. With less chip, the holder itself can avoid the damage caused by the stuck chip. Model No. Shank Dia. Min Bore Dia. Processing depth Corner distance O.A.L.